6735 Kestrel Cir Fort Myers, FL. | MLS# 219006808 | Southwest Florida Residential Real Estate for Sale. POOL HOME with a BRAND NEW ROOF, Lakefront and in an AWESOME location off Daniels Parkway and Plantation. This home has been lovingly updated and maintained by the original owner. Recently painted throughout, new screen on pool cage, updated stainless appliances, fireplace, kitchen nook, custom cabinetry, even on the lanai. Overlooking the lake with a little dock to watch wildlife and sunrises. 3rd bedroom has a custom murphy bed and custom built-ins so can be used as a bedroom or a beautiful home office. Huge master bedroom leading out to pool with sliders. Master bath with dual sinks, jetted tub and walk-in shower. Oversized 2-car garage. 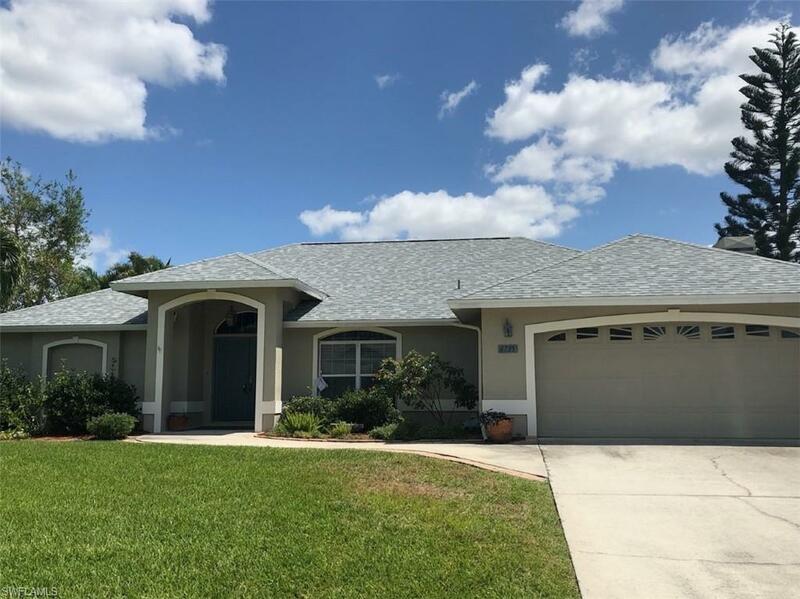 Great South Fort Myers location with excellent schools, private and public, grocery stores, (down the road from Whole Foods)minutes to baseball, Bell Tower, shopping, restaurants and approx.15 minutes to beaches and Sanibel/Captiva Causeway.